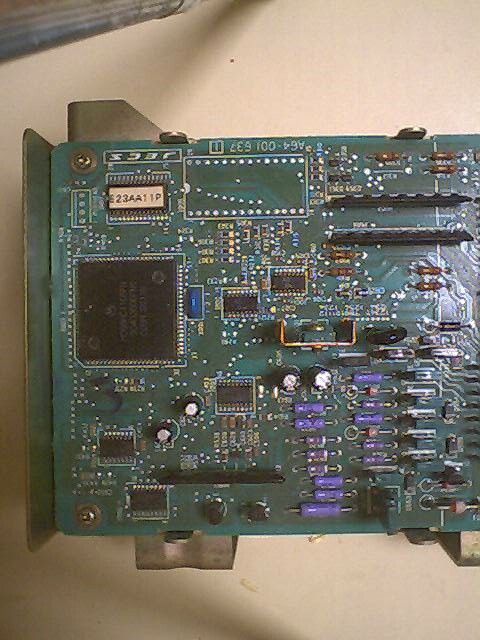 The TCU is made by JECS and based around the Motorola MC68HC11 CPU. There is 16K of ROM and 512 bytes of RAM. 16-bit values are stored in big-endian form. There are several different types of 4EAT transmission fitted to the SVX. The TCU board is the same for each type, but components are populated differently and the firmware is different. It is important to use the correct TCU firmware for your transmission. A disassembler for this CPU can be found as part of the MAME project. As I commented in the ECU section, I couldn't get MAME to fully compile on my system, but it gets far enough for the hc11dasm.o to be built. The TCU code is easer to disassemble than the ECU code because there is no M flag to worry about. I wrote a program which loads the TCU ROM into memory and calls the MAME disassembler function. It makes two passes through the code. On the first pass, it locates the start of each subroutine. On the second pass, it outputs the disassembled code.